Elephants are the sacred animals in India. They symbolize intelligence, hope, trust, compassion, and strength. Lord Ganesha is the elephant-headed most worshipped deities in Indian culture. There are many names of Ganesha like Vinayaka, Ganapati, Gauriputra, and Vigneswara. Each name represents the divine attributes of Ganesha. Therefore Lord Ganesha is also considered as the auspicious deity and revered before starting any new ritualistic job. There is another meaning of Ganesh in the contemporary form; Gan means the category or class, and Ganesh means the ablest in the section. 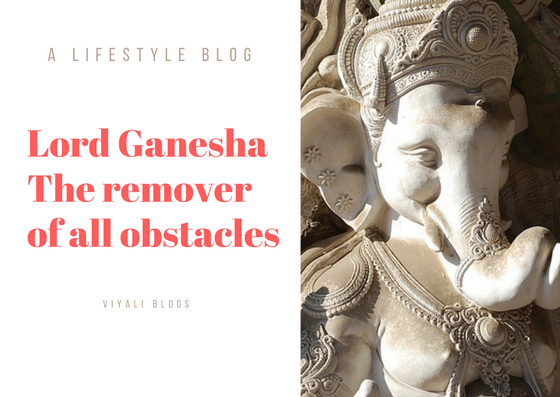 In this post, we have shared the qualities of Lord Ganesha and why is Ganesha called the remover of obstacles? Lord Ganesha is the elephant-headed Lord in the Hinduism who represent the auspiciousness, ancient Vedic wisdom, art, science and universally revered as the remover of obstacles. Vinayak is the first name of Lord Ganesha, generally known as the Son of Lord Shiva, and Mata Parvati. Lord Kartikeya who is known as Murugan is the elder brother of Lord Ganesha. Mount Kailash is the Abode of Lord Ganesha where he lives with the parent. Vighnaharta is the another most loved name of Ganesh which describes that Ganesh is the remover of barriers whether issues are materialistic or spiritual. Lord Ganesha vehicle is a white mouse. A mouse is known for reaching the narrow spaces and biting the ropes and thread. Similarly, Lord Ganesha is known for helping the devotees by freeing them from their problems. There are many lessons which people can Learn from Lord Ganesha. Love and respect your parents. Embrace the virtues of your elder brothers and sister. Share love, affection and always speak politely with everyone. Keep calm in every situation. It helps in sorting out the problems. keep yourself free from worldly disorders like Kaam, Krodh, Moh, Maya. keep learning and exploring new things. Value others opinion and learn from them. Try to be the remover of the obstacles. Lord Ganesha is the giver of prosperity, health, success, and intelligence. There is a small lord Ganesha story representing the highest intelligence of Lord Ganesha. Once there was a dispute started in the sages regarding whose Aradhya should be worshipped first in the Vedic rituals. Few devotees were saying, Narayan is their protector, so, Narayan's name should be first. Whereas, Others were chanting the name of Goddess Shakti and an influential group of Shiva devotees was taking the name of Mahadev. Therefore these sages decided to visit Vaikuntha where Narayan advise them to visit Kailash Parvat. Meanwhile, at Kailash, Bholenath appointed both Lord Kartikeya and Ganesha as the patron of Kailash and engaged himself into Meditation. Lord Parshuram, an avatar of Lord Vishnu reached Kailash in the hope of the meeting his Guru, Lord Shiva. Lord Parshuram is known for his anger and valor. Parshuram was unaware of Ganesha's identity as Shiva's son. When sage Parshuram reached the border of Kailash; Ganesha humbly requested Parshuram to not enter in Kailash as Shiva is in meditation, hence cannot meet to the sage. Parshuram ignored the Ganesha's advice and tried to enter Kailash. Ganesha requested Parshuram to stop, but Parshuram attacked Ganesha with his ax given by Shiva. Kartikeya was there with Ganesha, Ganesha didn't do anything to protect himself from the attack of the Parshuram. Whereas, Kartikeya tried to protect his younger brother by attacking Parshuram. Ganesha reminds Kartikeya that Parshuram is a sage, they shouldn't hurt him. During all that attack Parshuram accidentally broke Ganesha tooth. Ganesha didn't retaliate to protect the glory of Lord Shiva's ax. After that, Parshuram realized his mistake of attacking a little boy in anger. After listening to the scream of Ganesha, Shiva with Mother Gauri appeared there. Parshuram seeks the apology from his Aradhya. Shiva and Parvati accept the apology of Parshuram, Parshuram admitted that he mistakenly broke Ganesha's tooth, and tells that Lord Ganesha managed the situation very well otherwise the circumstances could have gone worse. Meanwhile, Lord Vishnu and Lord Brahma reached Kailash, along with the community of Sages. After knowing all the matter, based on Lord Ganesha's intelligence; Lord Vishnu announced Ganesha to be the first deity in Vedic rituals. Everyone was happy with the announcement, but Lord Kartikeya raised a question that everyone needs equal opportunities in the competition. On that note, Lord Shiva decided that a race will take place in which every participant has to cover three rounds of the world and return to Kailash. Indra, Agni, Surya, Varun, Kartikeya, Ganesha, Vayu joined the race as participants. The race began in which Lord Kartikeya was heading the race; whereas, Ganesha started taking Parikrama of his father Shiva and mother Parvati. When Shiva asked Ganesha why he is not taking rounds of the world, Ganesha answered that his mother and father are his worlds. Therefore, he is taking the Parikrama of his mother and father. When Lord Kartikeya returns from the race and reaches first; he gets upset with the decisions made by Trinity of declaring Ganesha to be the first deity. Everyone appreciates the win of Ganesha, but Kartikeya misunderstands and feels neglected. Goddess Parvati was happy that both sons Ganesh and Kartikeya are at Kailash. After the Race, Kartikeya decides to go back, but Lord Shiva comes to meet Kartikeya. Shiva clears the doubt of Kartikeya that Ganesh and Kartikeya are equivalent for them. There is no comparison between the two. Meanwhile, Ganesh comes from behind and hugs Lord Kartikeya with affection. Ganesha tells Kartikeya that he doesn't want to hold first place; if it upset his elder brother. Kartikeya realizes that Ganesha's intention was not to hurt his elder brother and everything gets normalized. Kartikeya tells to Ganesha that he has no problem to become the elder brother of the first worshipped deity. Shiva brings his both sons back to Kailash where they meet their mother, Parvati. In this post, we have defined Lord Ganesha as the remover of all obstacles. If you liked the post, please feel free to share it on the web so that others would know. We also invite you to like our facebook and twitter handler so that you keep updated with our latest post. 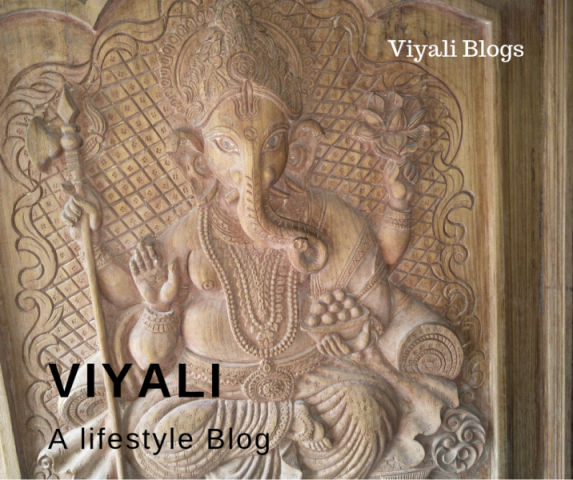 You can also subscribe to our blog Viyali.com with your email. Thanks for giving your valuable time, keep smiling and stay blessed.